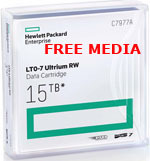 The new HP LTO generation 7 (C7977A) specifications more than double the tape cartridge capacity from the previous generation, 6TB native and including capacities of up to 15TB per cartridge when compressed. 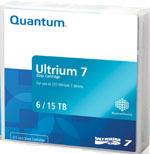 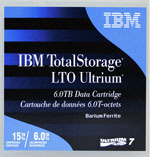 Large files will also transfer more quickly with the HP C7977A LTO-7 Data Backup Tape Cartridge offering 300 Mbps native data transfer speed and data transfer rates that are up to 750MB per second compressed, which can translate to more than 2.7 terabytes of data an hour per drive. 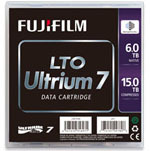 The cartridge is desgined to maintain it's archival quality for up to 30 years.